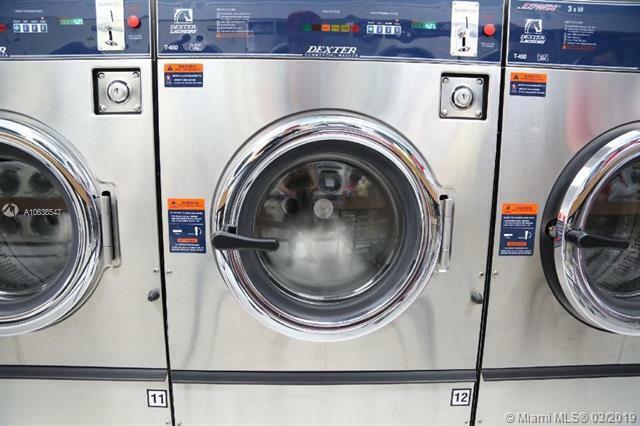 This cleaners features NEW 2018 Machines- 26 Dryers, 24 Washers. It has high-tech software installed that connects the machines to your phone. Sending reports daily and also notifies of any malfunctions. Cleaners has tile floors throughout the whole business. Restroom is freshly painted and updated with new tile floors. It is located on a busy street surrounded by apartment and condos. Business running for 30+ years. Great profit opportunity. This will not last, so hurry and book your viewing today!